Comfort Designs provides features far above the industry standard. Features that make the correctional shower package well suited for secure facilities. The unique design of the anti-ligature grab bars meets the requirements of the Americans with Disabilities Act and resists suicide-by-hanging attempts. 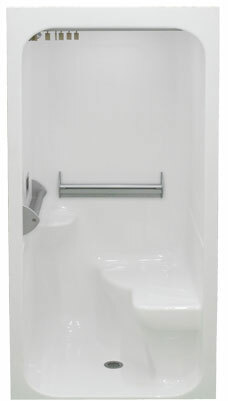 The one piece shower design resists abuse and does not offer a place to conceal contraband.